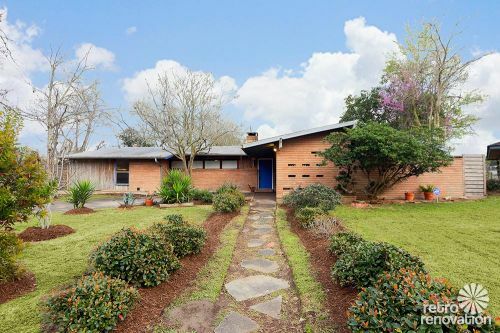 Set on a sizable lot, this mid-century ranch house — a little bit “modern”, a little bit “modest” was recently listed for sale in Houston, Texas by one of our favorite retro realtors, Robert Searcy. 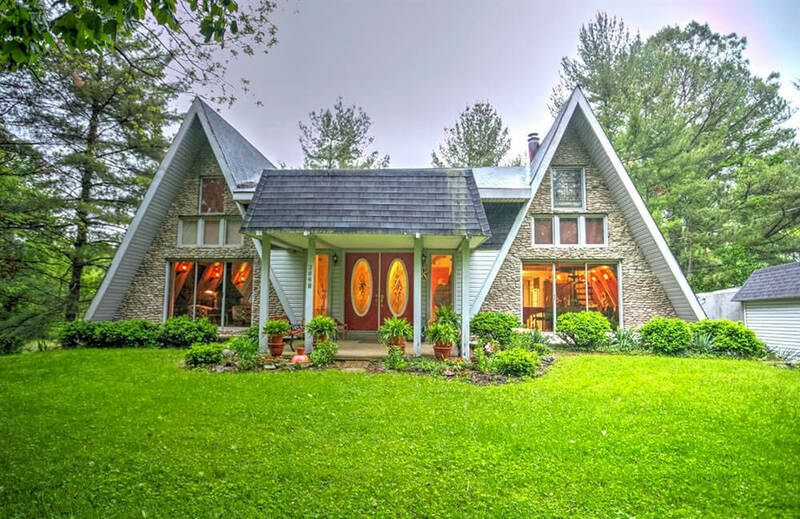 The home was designed by architect Lucian Hood to have an open floor plan, making its 1,900 square feet live large and stylish. 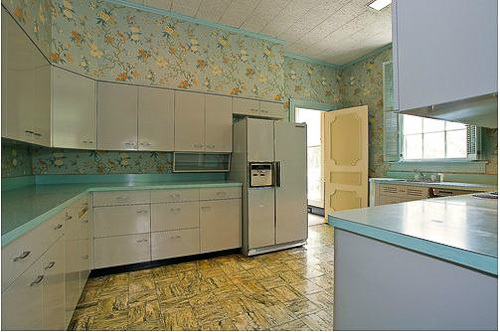 Many of the home’s key features — kitchen cabinets and tile backsplash, bathrooms, living room — are still original. 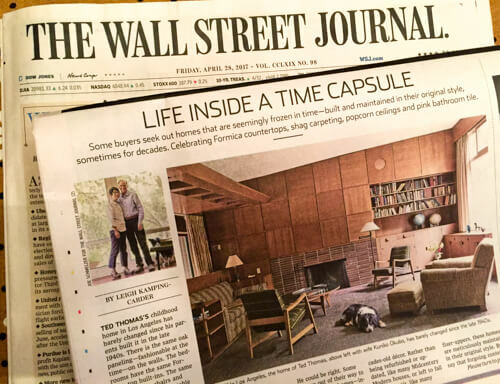 Some of the home’s features need a little TLC, but once a little restoration work is complete, it is the kind of mid-century home that — at the same time — can be both spectacular and comfortable and easy to live in. There’s lots to see thanks to photos courtesy of TK Images, so come on in and take a look, won’t you? The whole real estate market in Houston is red hot right now, but for more unique, interesting properties, it can be a real feeding frenzy! We had five offers in 36 hours. Bidding went far above list price. This one is a great example of how when people renovate, if they leave the period finishes and just clean things up and update systems, like the electrical, and avoid the latest flavor of the month cosmetic updates, then you can have a showstopper house with a lot of market appeal. Stunning mid-century modern designed by prominent architect Lucian Hood. Huge 18k+Sq Ft shaded lot w/pool. 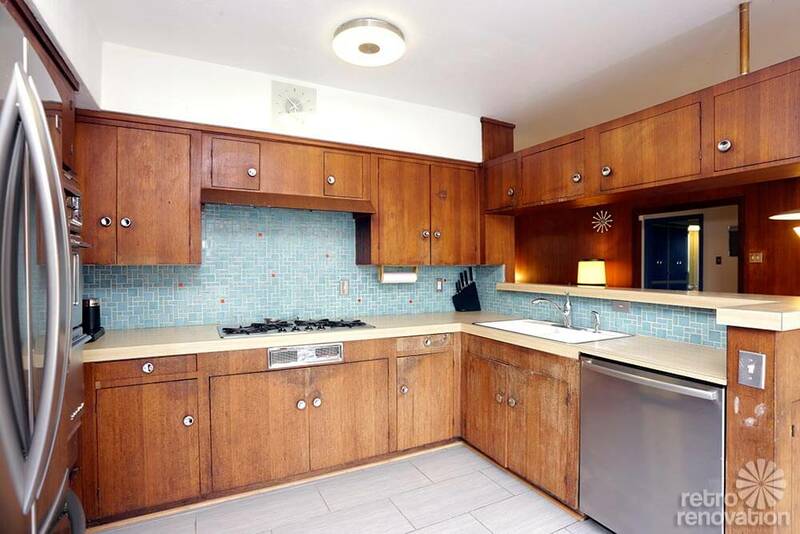 Vintage mod character preserved w/original cabinetry, cool mod light fixtures, lots of floor to ceiling glass, pecky cypress siding, int brick accent walls & original paneling. Recent updates include roof, elec upgrades & wood flooring. Open layout w/den + study. 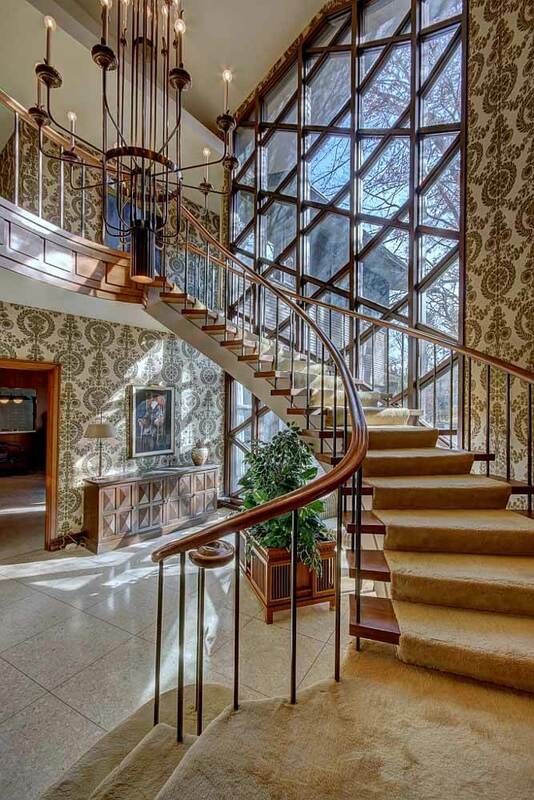 Great natural light. RARE find for mod enthusiast seeking vintage cosmetic character intact yet w/some system/structural updates. 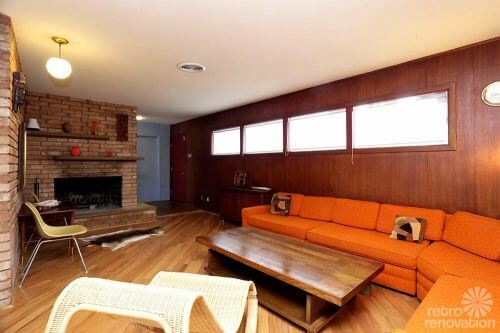 Yowza — look at that awesome vintage orange sectional. It goes very nicely with the beautiful, warm wood paneling. I’m also digging the display shelves on the brick fireplace. The exposed brick wall really amps up the textural interest in the space, too. With so many neutral surfaces — wood floor, wood paneling, brick wall — bold furniture like the orange sofa sectional works well in this space. The bedroom above is a great size and a blank canvas for the new owners. 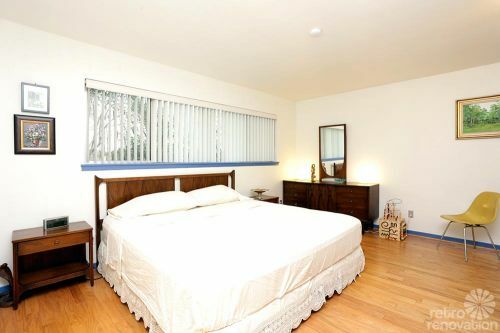 Did anyone else notice that vintage Broyhill Brasilia bedroom set right away? We wonder if the buyers will work the furniture into the deal? 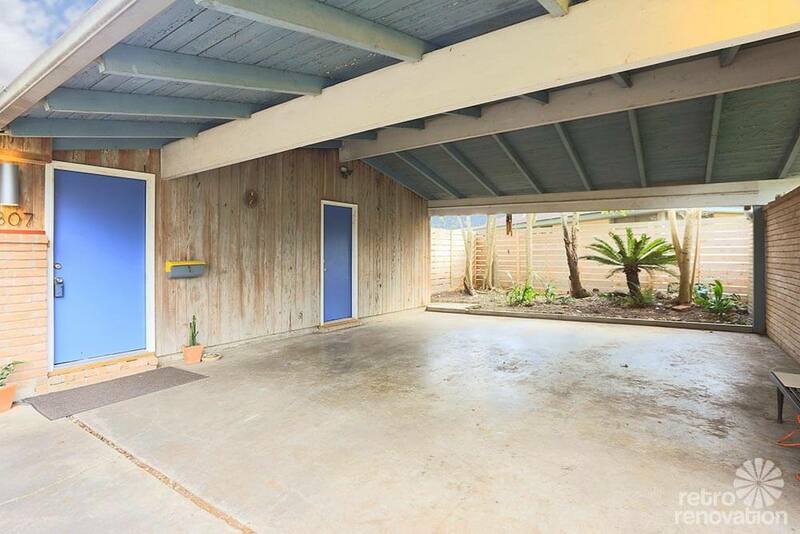 The home’s car port is especially cool because of the beamed ceiling and the secret, fenced-in garden space — complete with palm tree. Mega thanks to retro realtor Robert Searcy for sharing this property with us and to TK Images for taking such great photos of the property. 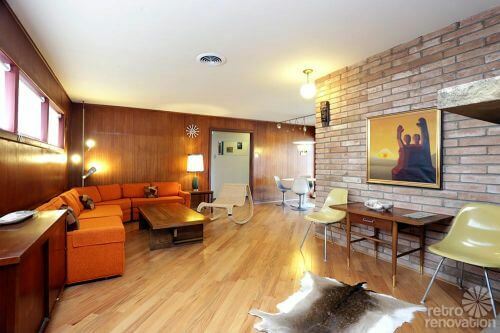 How to sell a mid century house full of original feature — we hear from three experts. Pretty sure that is an original O’Keefe and Merritt cooktop and wall oven! Not every day you see those.